Q: What are the symptoms of TMJ disorder? A: TMJ disorder (TMD) is a common condition that is often identified by a clicking sound or pain in the jaw. TMD can also cause headaches, and dizziness. While it can affect anyone, it is most common in adult males. 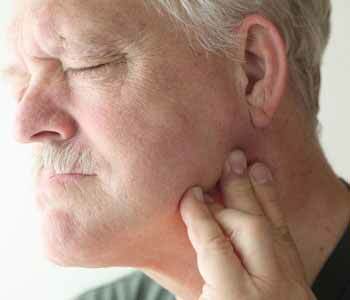 Q: How is TMJ disorder diagnosed? A: To help his patients understand the condition and treatment, Dr. Ramsin Davoud explains the structure of the mouth and jaw. The temporomandibular joint connects the lower jaw to the skull. To locate this joint, place your index finger in front of the ear opening. Hold your finger in place while you open your mouth and you can feel the jaw shifting into place. A smooth transition between an open and closed mouth indicates that your jaw is properly aligned. However, many patients may feel discomfort or pain around their jaw or may feel their jaw catch or pop while opening the mouth. For patients who notice jaw pain, it’s important to have the TMJ disorder professionally diagnosed. Once it is diagnosed, there are several ways to manage or eliminate the pain. Q: How is TMJ managed? A: Sometimes, TMD can be managed simply by changing certain habits such as no longer chewing gum or trying to avoid yawning widely. Other recommendations may include reducing stress and avoiding grinding the teeth or clenching the jaw. If lifestyle changes don’t help, patients may find relief through jaw exercises or the use of an oral appliance. The exact appliance will be determined by the cause of the patient’s TMJ. If the condition is caused by clenching or grinding of the teeth, a stabilizing splint may be prescribed. For those whose condition is caused by a misalignment, an oral appliance can be used to reposition the jaw. A: If you live in Turlock or surrounding areas, or the San Francisco Bay area, and want more information about TMJ disorder and treatments, call the office of Dr. Davoud today.